Whether you prefer to explore nature by boat on a safari float in the Tarcoles River or hiking on foot through Carara National Park seeking out the beautiful Scarlett Macaws, there are Eco tours in Jaco for every explorer's style. No matter which Jaco eco tour you choose, we can guarantee you will encounter stunning natural sites and abundant wildlife in and around this breathtaking region of Jaco, Costa Rica! The variety and sheer volume of life in Jaco's rainforest is staggering. We have 850 species of birds in Costa Rica, which is more than all of North America combined! The symbiosis of bird, insect, plant and animal life is fascinating and hiking is a good option to get to know the country at a closer level rather than from the window of an air-conditioned bus. 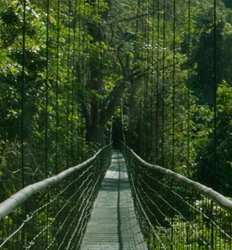 An eco-tour in Jaco is also a nice reprieve from the party atmosphere found in Jaco Beach. In fact, you could spend many lifetimes exploring the Jaco rainforest, and still not fully understand the complexity of life in Costa Rica's ecosystem. In addition to the beautiful beaches, Jaco has a wide variety of ecosystems nearby for you to explore including the rainforest, mangroves, the Tarcoles River, and stunning waterfalls. Pick your favorite experience in nature from the list of Nature & Eco Tours departing from Jaco below! 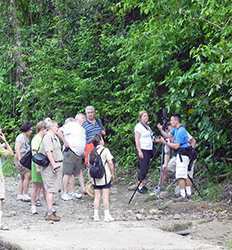 Carara National Park Guided Tour deposit is $20.00 per Adult and $15.00 per Child. Exploring Costa Rica´s National Parks just is not the same without the help of a binocular carrying, telescope toting nature guide to spot all the incredible wildlife your un-trained eyes will most likely miss. If you are a Bird Nerd, be sure to speak up! There are so many varieties it will make your head spin. Don´t miss out this opportunity! 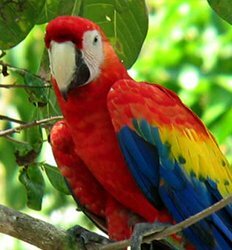 Follow the flight of Costa Rica's endangered Scarlett Macaw from the rainforest canopy in the Carara National Park down the mangroves along the Tarcoles River on oneof the best nature tours in Jaco. 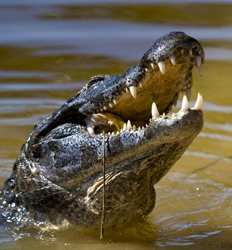 Our Carara National Park & Crocodile Safari Combo has everything a nature lover could ask for. Spend a few precious hours paddling with the currents as your highly trained, bilingual naturalist guides reveal the protected inland waterways of the Damas Estuary and mangrove habitat. You´ll explore an unforgettable plethora of flora and fauna as you learn about, experience, and travel through our Costa Rican mangrove and tropical rain forest ecosystem. 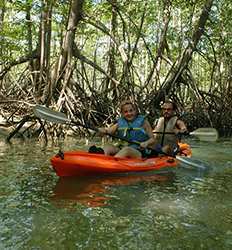 Half Day Kayak Damas Mangroves deposit is $10.00 per person departing from Quepos & Manuel Antonio and $15.00 per person departing from: Los Sueños, Herradura, Jaco & Esterillos. It´s bananas how interactive you can be with playful little Capuchin monkeys in their natural habitat on this incredible mangroves tour. On-board our high-tech estuary boat, you will explore one of the richest ecosystems in the country as it takes you out on an exciting adventure through the famous Damas Mangroves. Quepos Damas Mangroves Exploration deposit is $10.00 per person departing from Quepos & Manuel Antonio and $20.00 per person departing from: Los Sueños, Herradura, Jaco, Esterillos, Uvita, Costa Ballena & Dominical. If you´ve been looking for a once in a lifetime activity in Costa Rica, look no further the the Crocodile Safari tour in Jaco. 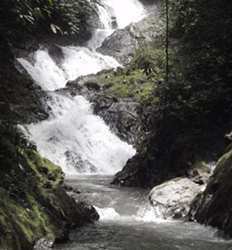 The quintessential jungle experience in Costa Rica is found just outside Jaco on the Tarcoles River. 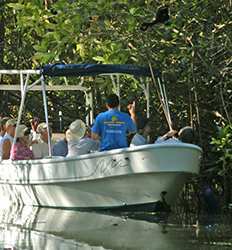 Teaming with wildlife, we will tour the Tarcoles mangrove forest by boat and sidle up to a river bank full of crocodiles. Located next to Carara National Park, a destination known to birders around the globe as one of the few place on earth the endangered Scarlet Macaw still thrives, the picturesque rainforest of Villa Lapas named after these beautiful Macaws is THE place to be for over 400 species of birds in Costa Rica. 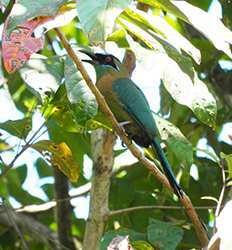 Bird Watching Villa Lapas Sky Way deposit is $10.00 per Adult & $5.00 per Child.